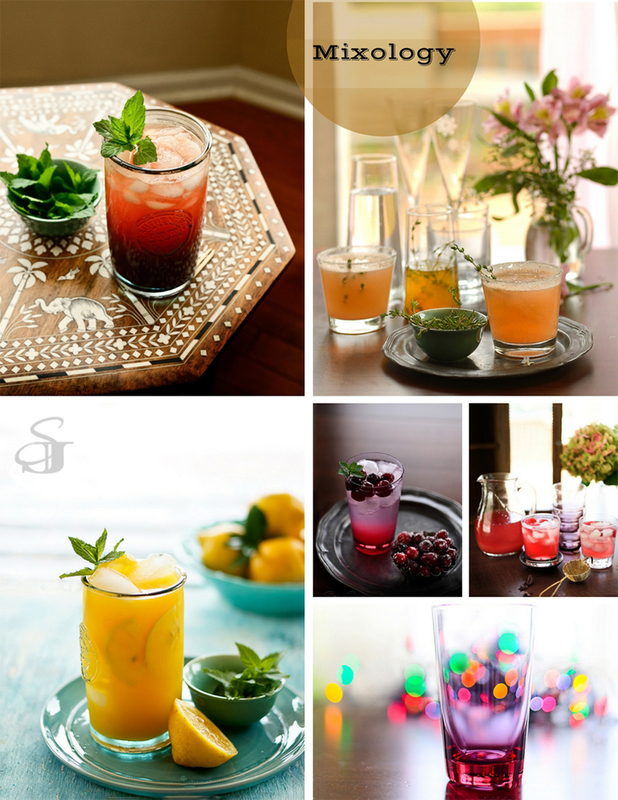 If I were not a photographer, I would definitely be a mixologist - maybe a mocktail mixologist...or who knows! 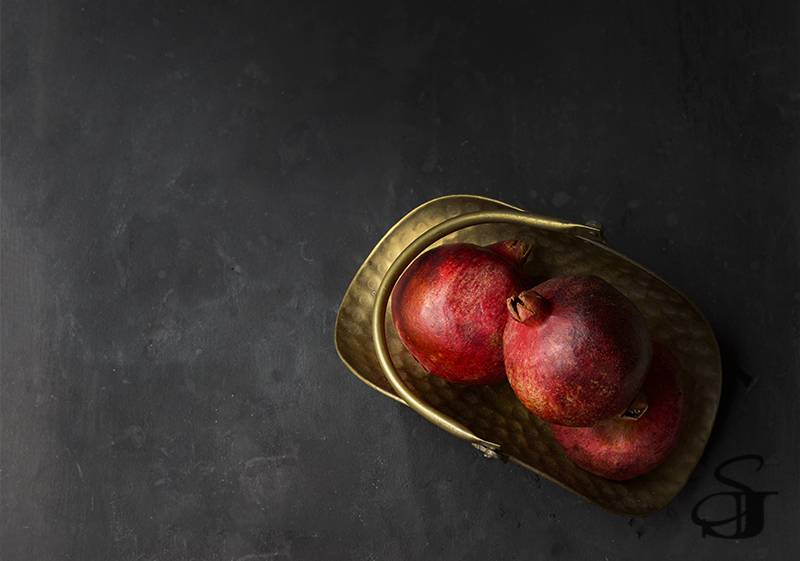 I just love pairing fruits, spices and herbs. The colors just make me so happy. 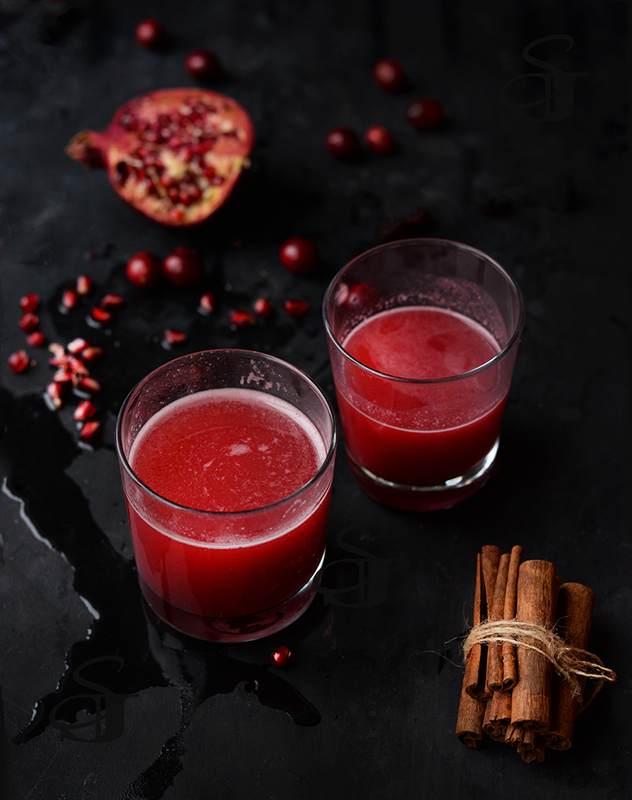 It is easier to buy ready juices and mix them but the fun is in doing it from basics, at least that is how I like it. If you are making this for a party - you can definitely make it ahead of time and store it in the refrigerator. I don't guarantee there will be anything left , but you can try. Make sure you add the club soda and vodka only when you serve. When you are making a mocktail you do not have to be precise about the measurements. But adding alcohol - yes precision is required. December is the official party season, please drink responsibly. Please don't drink and drive - be safe, be happy and there is always uber. 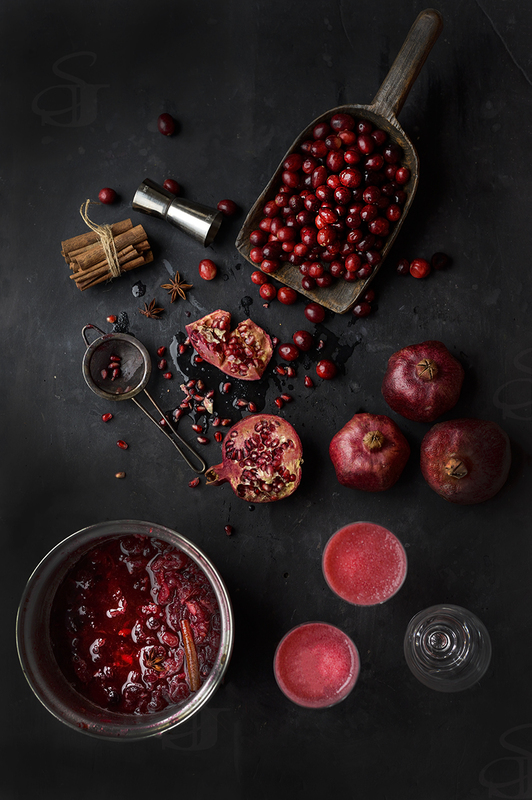 In a saucepan, add water, cranberry, sugar, ginger, cinnamon and star anise. Boil for 20 minutes or till the cranberries are cooked and mushy. 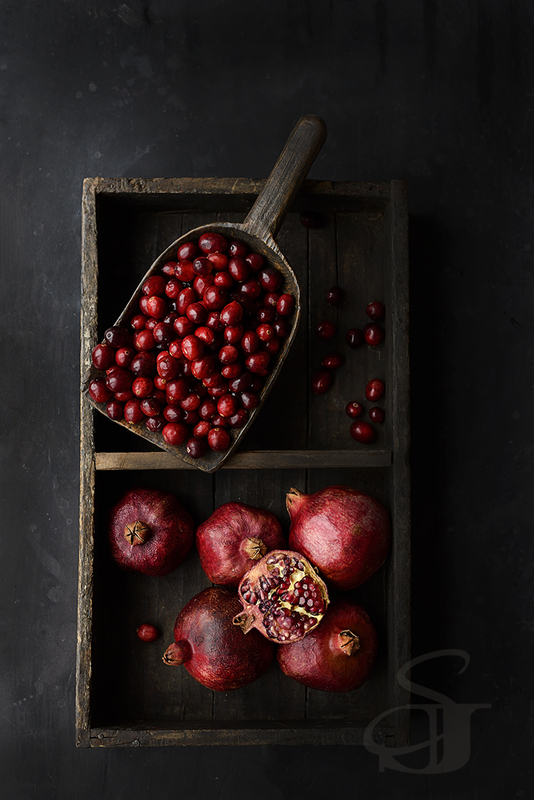 In a blender add pomegranate seeds, and cranberry mix and blend. Strain the above mixture. It will be about 3 cups. 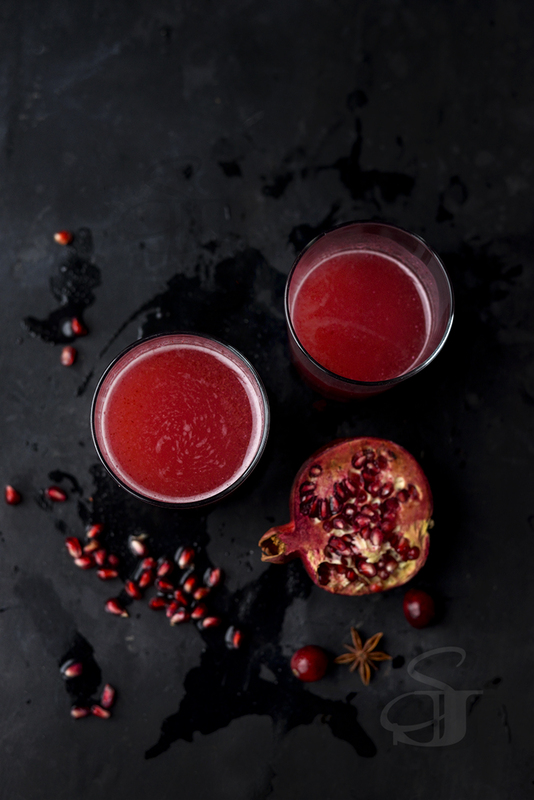 In a jug add the cooled and strained cranberry-pomegranate syrup, club soda and vodka. Now if you do not add vodka, you can serve it warm just like spiced apple cider. It tastes good both ways. Warm and chilled. Enjoy!! 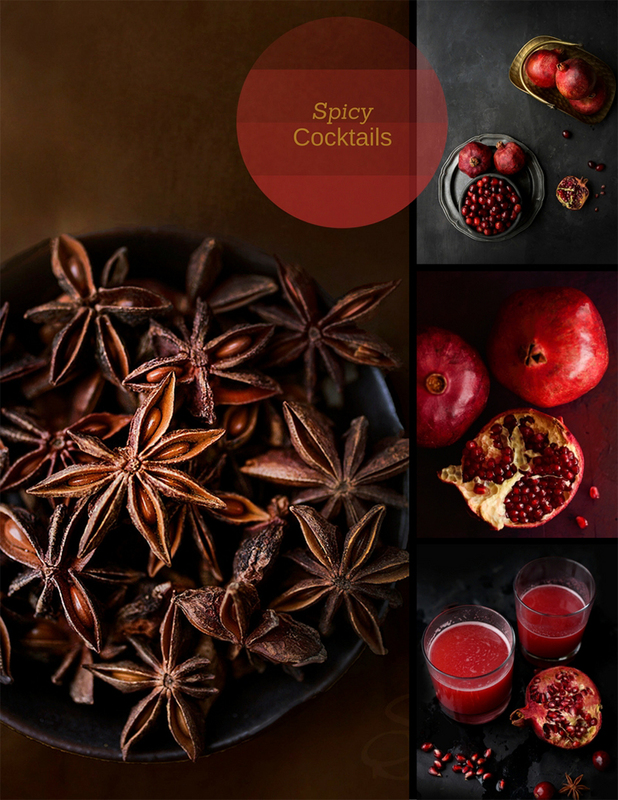 If you are looking for some good drinks to serve during the holidays ...here are my recomendations. I am having party - christmas vibe from your post! 😍 I love how you played with black and white - beauty!